Michael Farmer, a respected business strategist with 25 years of experience in the advertising industry, documents the dizzying heights of the original Mad Men days and the long, steady slide to today. He outlines the step-by-step process that led agencies into their current strategic trap, caught between fee-cutting clients and profit-hungry owners. He offers key insights into how senior agency executives can restore their agencies to health and deliver improved results to their clients, liberating them from the gloom of Madison Avenue’s Manslaughter. 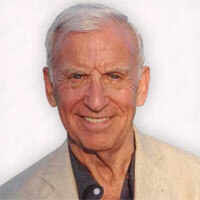 Michael Farmer is Chairman of Farmer & Company LLC, a strategy consulting firm for advertising agencies and advertisers. He graduated from Princeton University and Harvard Business School before working for The Boston Consulting Group and Bain & Company around the world. He has lived and worked in Rio de Janeiro, Lausanne, Munich, Paris, Istanbul and London. He currently resides in New York City. Today’s Mad Men celebrate new clients and creative awards just like the Mad Men of yesteryear, with champagne, parties and laudatory speeches, but the resemblance and the fun stop there. Returning to their daily routines, ad agency people put on a brave face, struggle with increasing workloads and demanding clients, and feel like players on a losing team, unable to break out or at least pull even with their clients as respected, secure partners. The advertising business, which was once one of the most fulfilling and glamorous of industries has become a grim sweatshop for the people who do the work. What has happened over the past few decades to bring this about? How did remuneration, globalization, new ownership, shareholder value and digital and social media bring about a decline in the fortunes of today’s advertising agencies? Michael Farmer, a respected business strategist with 25 years of experience in the advertising industry, documents the dizzying heights of the original Mad Men days and the long, steady slide to today. He outlines the step-by-step process that led agencies into their current strategic trap, caught between fee-cutting clients and profit-hungry owners. He offers key insights into how senior agency executives can restore their agencies to health and deliver improved results to their clients, liberating them from the gloom of Madison Avenue’s Manslaughter. 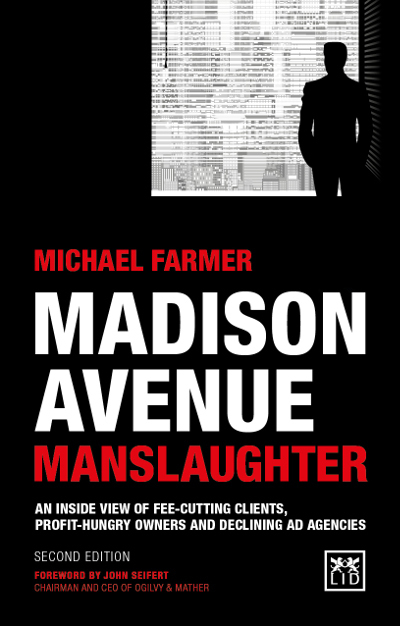 If you want to learn more about Madison Avenue Manslaughter Book, please do not hesitate to get in touch.